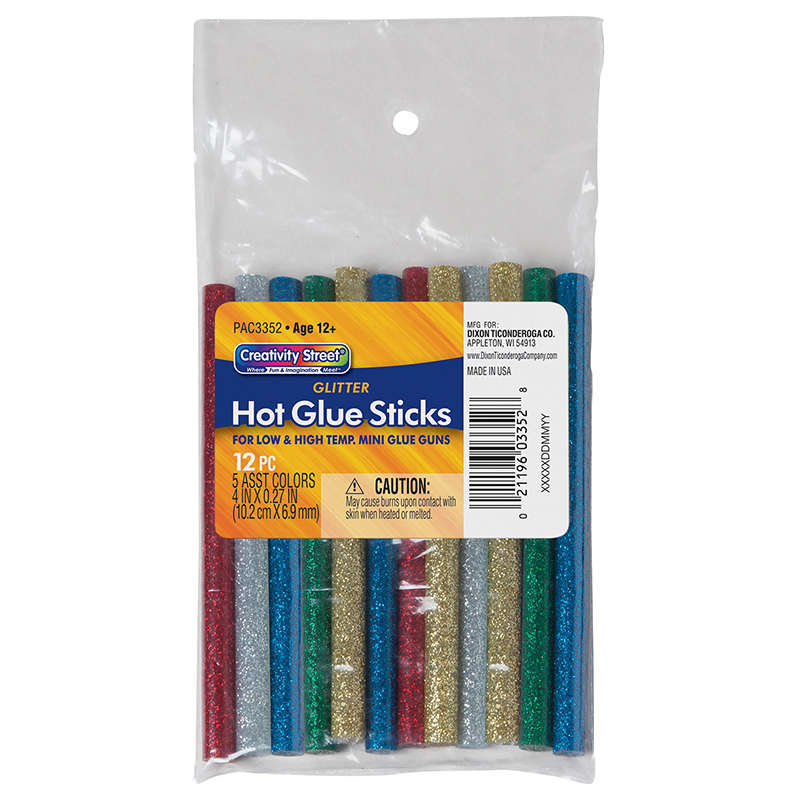 These glitter glue sticks are dual temperature and can be used in all standard hot and low temp glue guns. The glitter adds a touch of sparkle to craft projects. Glue Sticks are 4" x 0.3125". There are 12 sticks in 6 assorted colors: Blue, Red, White, Silver, Green and Gold.